A couple days ago I was trying to use up some partial bags of clay. Trying to clean up my studio a bit. So I was throwing some more mugs and the clay seemed a little weird. Not like the stoneware-feeling that I’m used to. It wasn’t until I was trimming & adding handles that it even crossed my mind that the partial bag of clay was porcelain?! 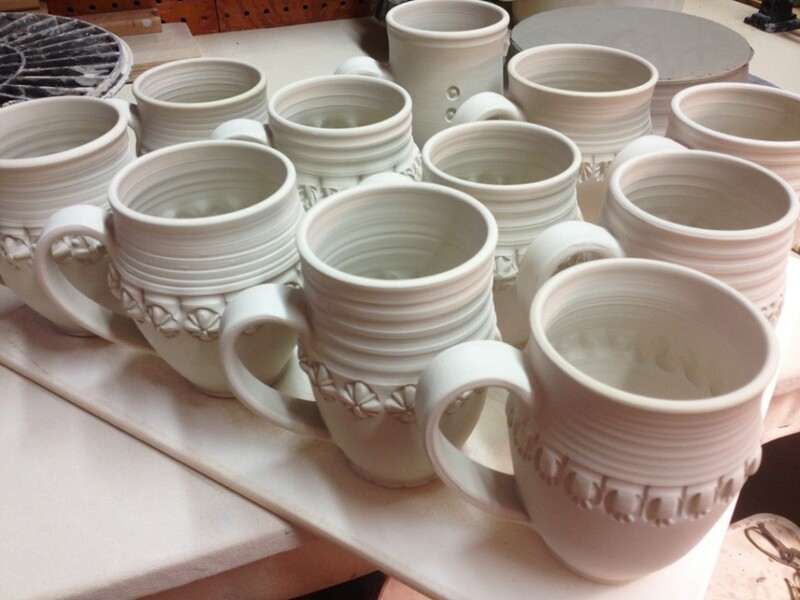 So here’s my first batch of porcelain mugs ever! Not quite as tough as I had always thought porcelain would be… glad I didn’t know!!! Oh they’re beautiful! I take it they’ll also be your first glaze “tests” on porcelain, too?